We are truly honored to share a wonderful letter from Dr. Barrett S. Caldwell, Professor at Purdue University, and Director of the Indiana Space Grant Consortium. 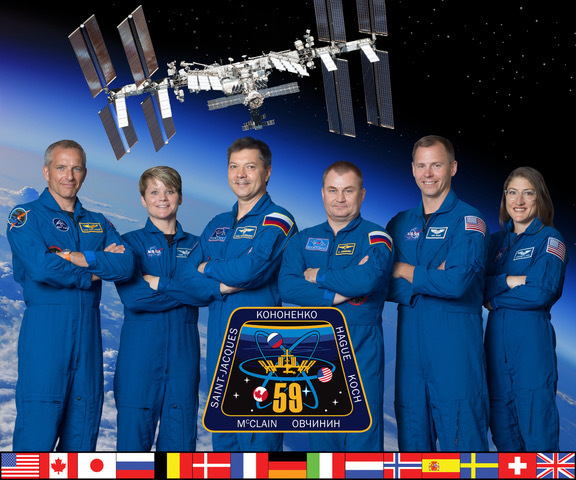 The Consortium is underwriting SSEP for Crown Point, Indiana, on the flight of STS-135. Barrett’s letter speaks to the power of partnership. It also goes hand-in-hand with a previous post written by Amanda Arceo, the SSEP Community Program Director for the Avicenna Academy Science Community Collaboration (AASCC) in Crown Point, titled, What does it Mean to Reach for the Stars? Young scientists from Indiana have a flight experiment on the last Space Shuttle mission. And I helped them get their ride. Really, I haven’t done that much. When the principal from Avicenna Academy first contacted me, I was already aware of the SSEP program, and had just spoken with Jeff Goldstein a few days earlier at a Space Grant meeting. I heard what the project was, and how INSGC was an important source of funding for the community and the students involved. I can’t call them “children”: they’re learning about scientific methods, and engineering reliability and testing, and the creativity and problem solving process that takes imagination and turns it into effective outcomes. These are lessons that many adults haven’t learned. The students from Avicenna are at the same age I was when I started learning about science and math and getting excited about astronautics. However, while I was building model rockets and hoping to scrape together a few dollars for an Estes C-6-2 engine, they’re getting ready for a flight readiness review at Kennedy Space Center. That is unassailably cool. I get no greater thrill than to see that something I’ve done has had an effect on someone—a student, a friend, even someone I don’t know that well. It might have been easy to give up at some point when we ran headlong into university bureaucracy, and I’m usually pretty careful with money. But, in the end, it was easy to recognize that I couldn’t think of any better demonstration of the INSGC mission to provide educational resources and opportunities related to NASA for students, parents, and the citizens of Indiana. We have a tremendous amount of pride of our connections to space from the Crossroads of America. Crown Point, where Avicenna is located, is one of our highlight astronaut hometowns: Jerry Ross, who has flown into space seven times, grew up there. Jerry’s wife Karen is from Sheridan, and one of the pioneering innovators of spaceflight nutrition for NASA’s astronauts. Their daughter Amy designs space suits at Johnson Space Center. So, although they all live in Houston now, we’re glad that the Ross family is still linked to Indiana. So, Indiana (where 22 astronauts were born or educated, and countless contributors to the nation’s space effort have called home) will be represented in a wonderful and unique and prestigious way on STS-135. Indiana Space Grant Consortium helped, just a little. My hat is off to the students, as well as the principal, the school, and the community that supports them. The students even sent us thank you cards, which I keep in my INSGC office. It’s a reminder of how much difference, how much of an effect, we can make in education and mentoring youth to pursue their dreams. I feel incredibly lucky to have been involved in SSEP, and to have a small role in such a big part of history.